Creating our company, we wanted our dresses have dazzled all the girls. And we managed to do it! For the past twelve years we put graduates. First did it in Ulyanovsk, and then across Russia and neighboring countries. Even as students, we were thinking how to make our aspirations in life. Not only to create a reporting collection in the faculty of fashion and design, but also to our ideas to appreciate any girl. So we created their creative Studio. Chose a narrow niche prom dresses, where we thought we will be able to fully open as designers. And consider that was not mistaken. So, today we have more than twenty regular partners in various cities. Inexhaustible fountain of ideas constantly bubbling in our heads. Seeing the enthusiastic eyes of our clients from implemented ideas, we want to work even more. It's such a pleasure to see the gleam in the eyes of the buyers! Such a powerful get energy from it that it seems the batteries will not sit down never. Today we occupy a worthy place among the leading manufacturers and evening prom dresses. In addition to its own chain of shops in Ulyanovsk, we actively cooperate with more than twenty partners in different cities. Now our production area covers about 500 sq. m. More than 20 employees are constantly working to create exclusive designs. Every year we develop several collections of prom and formal dresses. Strive to constantly stock was in stock gowns from the latest collections. Unfortunately, the latter does not always work, because in the season just do not have time to sew the orders. our friendly team side by side working designers, designers, cutters and tailors. United by the idea to create a quality product that meets modern requirements of the market. Today every girl is aware of the latest fashion trends and stand out from the mediocre mass of garments helps inexhaustible imagination of designers-the founders of the company. The whole team becomes infected with their energy and with a great desire and curiosity is trying to implement their plan. Solidarity, friendship and mutual assistance are the main features of the labor collective of the Dolina Mod. We don't have to supervise the work of our specialists. Everyone understands for what came to the company. Each of our employees is a storehouse of talent and focus abilities. Other would not survive. For the manufacture of each product meet one tailor. Thus, we can proudly say that each created a dress Dolina Mod — name. First of all it concerns the professional skills of our employees. I confess, started buying used equipment. Today updating the fleet of sewing machines, were confronted with technological innovations that require close attention and relevant knowledge. But without patience and painstaking, as before, it is impossible to sew dress extra class. Therefore, workers are constantly improving their skills. We appreciate our partners who, sometimes, take a risk, by purchasing our new products to assess their "be bought". Where do they order a time-tested model. We also welcome new partners. Today, more than ever the Internet plays a leading role in the establishment of new relationships. But to get to know what it says, offline, often it turns out at the annual wedding exhibition in Moscow, which usually takes place in early March. We are the permanent participants of this event. Definitely our stand You will meet in this year. 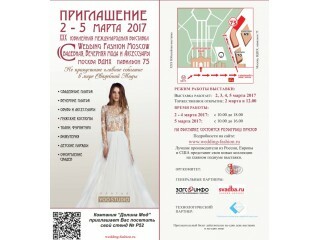 the Russian manufacturer of prom dresses Dolina Mod invites to cooperation of private entrepreneurs, natural and legal persons involved in the sale of women's clothing wholesale and retail. We offer You stylish wholesale prom dresses: short, long, lush outfits of high quality. Will send You a catalogue, the pages of which you will be able to see our products. In the item card there is a detailed description, sizes and prices of goods. chosen as the supplier of prom dresses and our company, you will receive a high quality product and constant support at all stages of cooperation. All products presented on the website are in stock in Ulyanovsk.